Designation: Researcher at Jawaharlal Nehru University, New Delhi, India. Biography: Currently she is pursuing her Ph.D. in Computer Science from Jawaharlal Nehru University, India. she completed her master’s degree in Computer Science from Jawaharlal Nehru University, India. 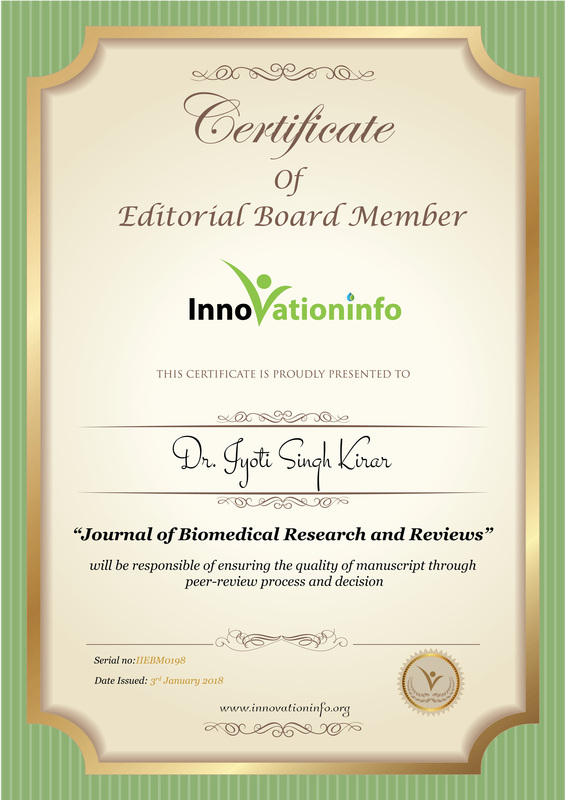 Jyoti Singh Kirar & R.K.Agrawal, “Composite Kernel Support Vector Machine based Performance Enhancement of Brain Computer Interface in Conjunction with Spatial Filter”, 2017, Biomedical Signal Processing and Control, 33,151-160, Elsevier IF:1.53. Akshansh Gupta & Jyoti Singh Kirar, “A novel approach for extracting feature from EEG signal for Mental Task Classification”, International Conference on Computing and Network Communications (CoCoNet'15), 2015, IIITM Kerela, India.